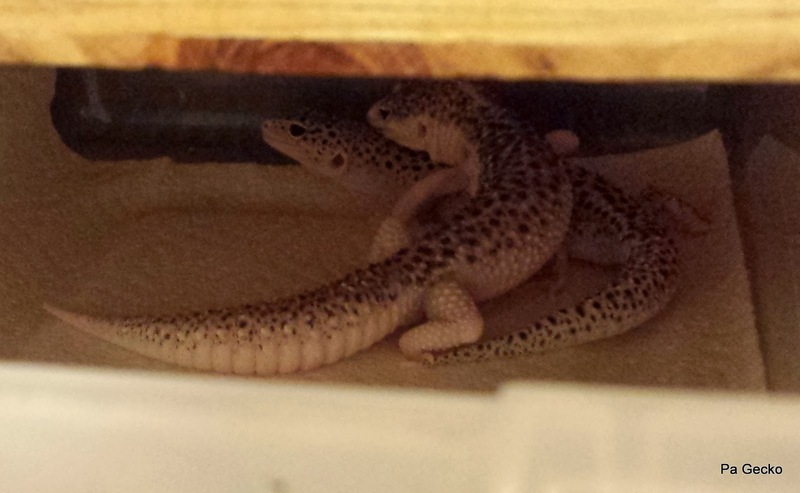 PA Gecko: 2014 Breeding has begun! 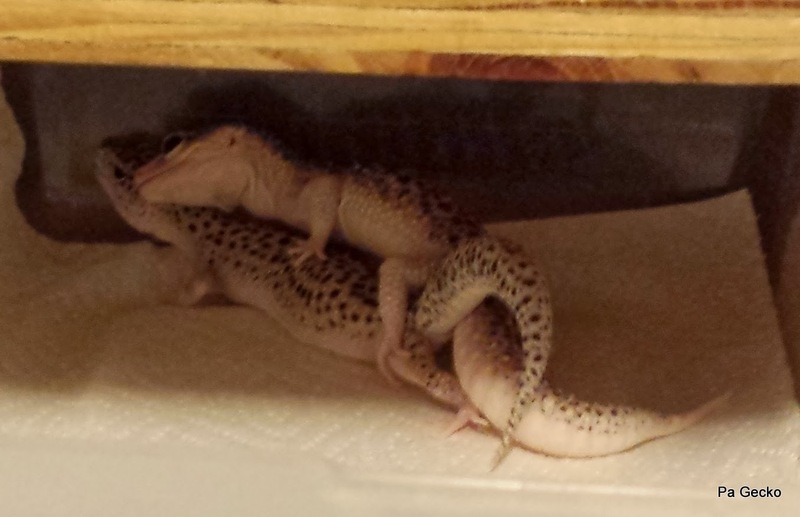 Over the weekend we had our first two pairs of geckos breeder, and we couldn’t be happier! Saturday night was the first time breeding our Total Eclipse male to a Mack Snow Eclipse female, both are Fasciolatus crosses and should produce quite the array of Mack Eclipse and Total Eclipse babies. Sunday night was another very exciting pairing too. 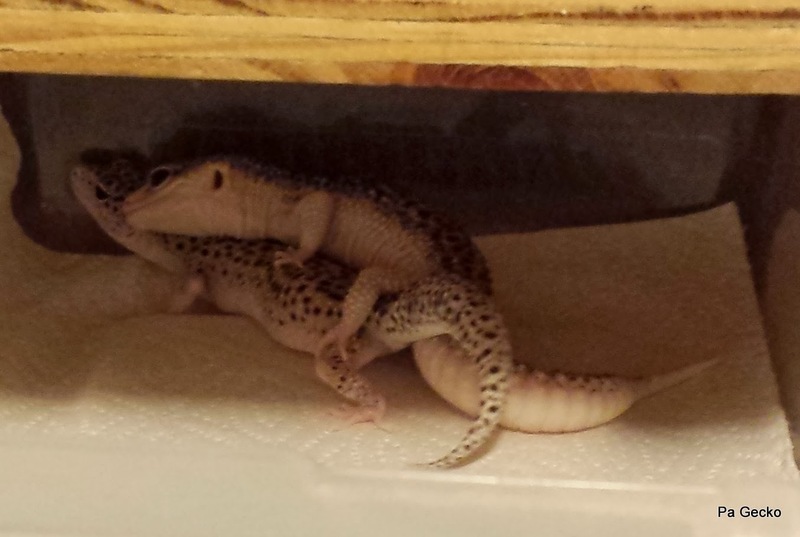 The gecko that has started something amazing was bred to the same female last year. This pair was our White & Yellow male to a Mack Snow Fasciolatus cross female. Last year they produced an amazing Mack Snow White & Yellow male that will be bred here very soon. This gecko displays a very unique pattern with only faint hints of yellow on the back and tail, from the neck up to the tip of his nose is white with spots. These are a few pics from the Total eclipse project as they were breeding. I hope everyone enjoys and continues to check back often to see what’s happening here at PA Gecko.